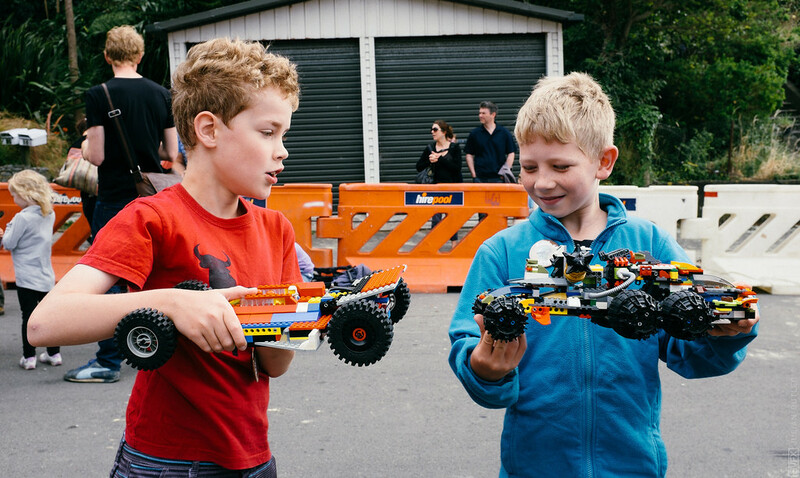 blog.julianbutler.com: Lego Downhill Derby at the Ribble Street Races. 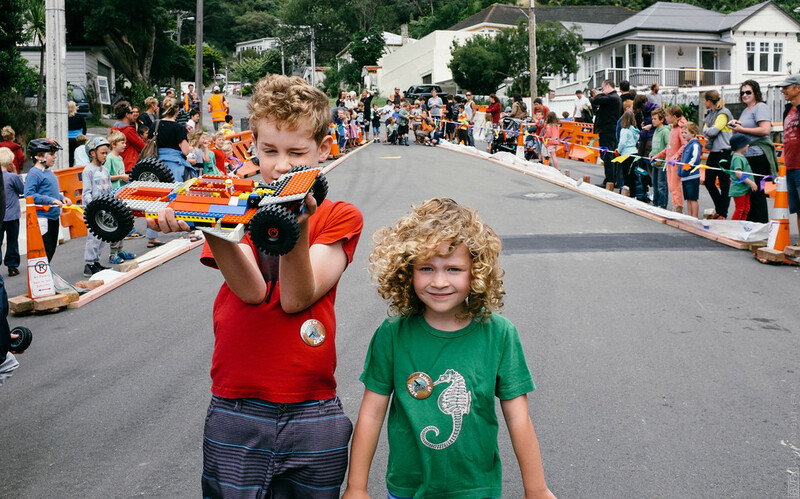 Lego Downhill Derby at the Ribble Street Races. Jamie and Isobel on the course, getting ready to run. 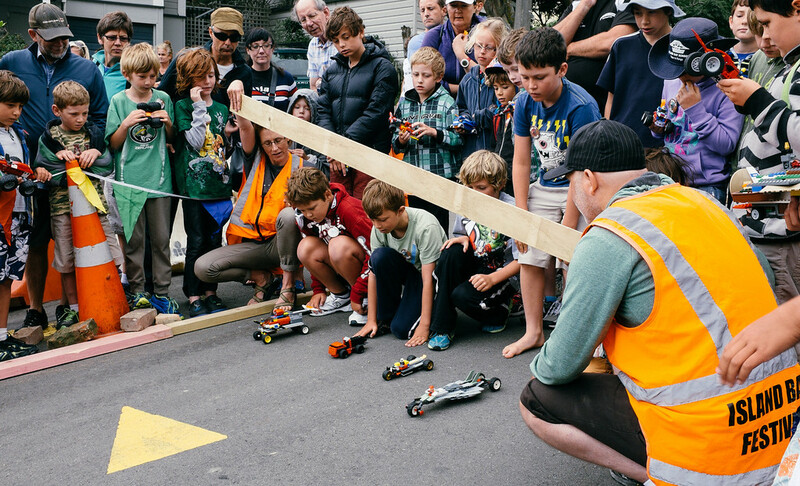 This year as part of the Island Bay Festival, the Ribble Street Races held a Lego Downhill division. 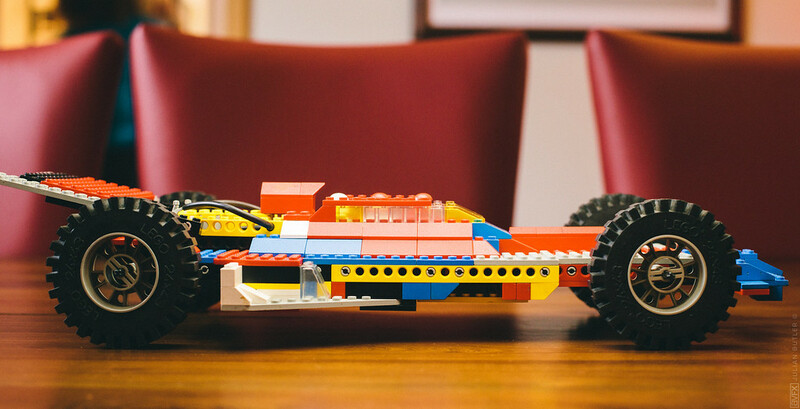 Jamie and I could not resist taking part, especially as we felt that the use of my old lego from 1980 had wheels in it that would trounce the competition. Click here to jump straight to the photo gallery. 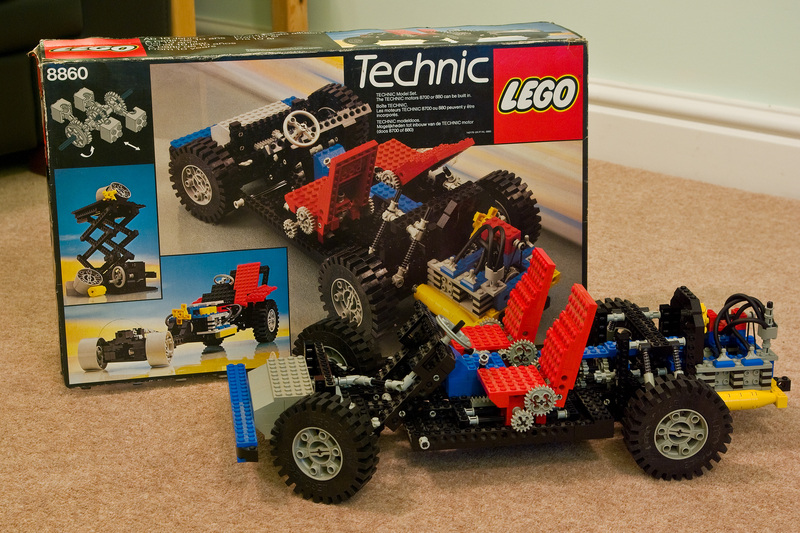 I still own most of the parts of this Lego Technic 8860 kit from 1980 - thanks to Mum and Dad for keeping hold of this for me! So a week ahead of schedule we got down to work. We drew up a cheat sheet of what we felt were the main issues: terrain and hill gradient, wheel choice, centre of gravity and vehicle weight. Secret plans, secret plans... plot, hatch, scheme. Here's what we came up with, the main concept being a very low centre of gravity, and being fast and mean [so mean in fact that during the test run we rode roughshod over another vehicle monster-truck style - oops! Oh well, mess with the bull, get the horns I always say]. Check out the gallery for more images. Say hello to 'Old Skool - 1980'. All your race R belong to US. 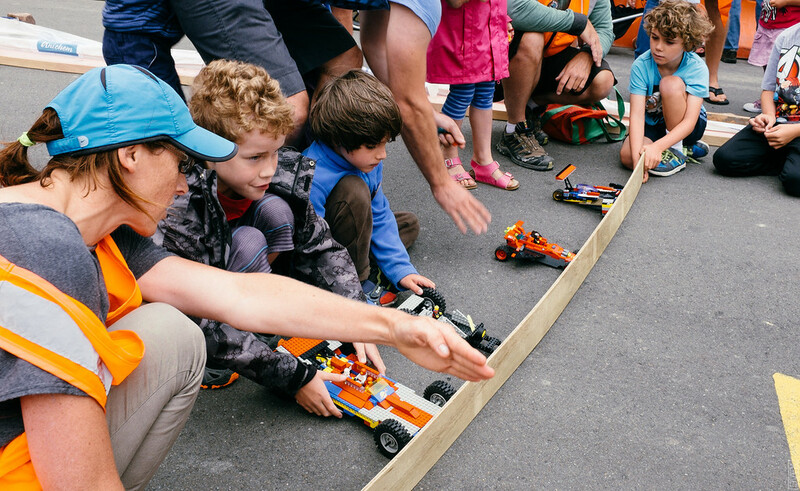 There was a huge variation in designs, with everything from boats [on wheels] and tanks to monster trucks and small nimble things that went fast but deviated off course very quickly. Jamie and I quickly found that our creation took it's sweet time to get up to speed, but then went relatively straight and became somewhat unstoppable. The main race stipulations being that your entry had to fit within a 40cm cubic dimension. 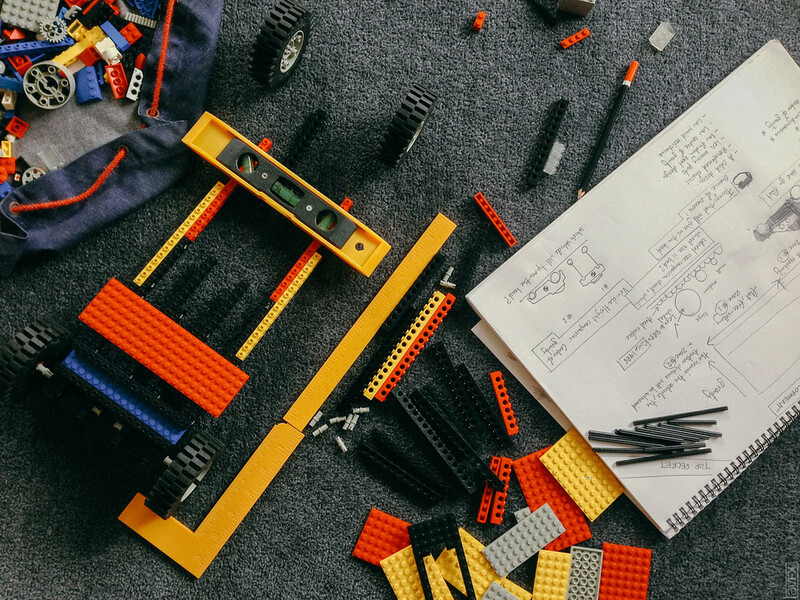 All parts must be actual lego. No adhesives or extra weight to be used or fitted internally. 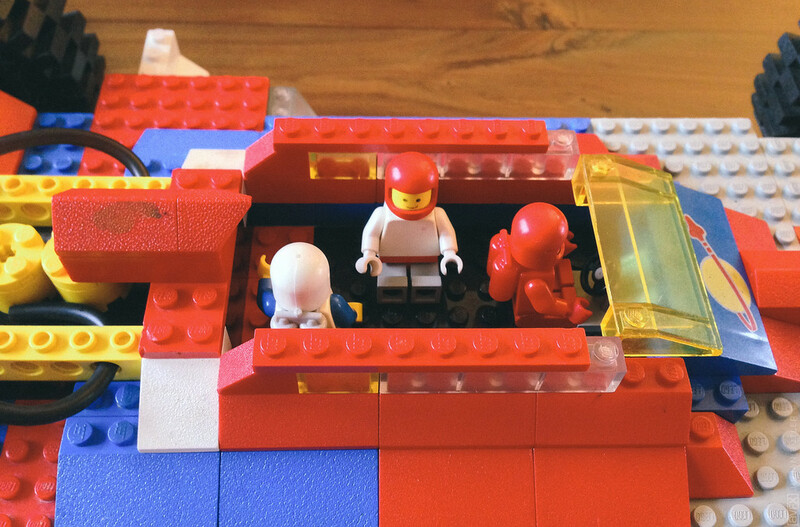 Your vehicle MUST be able to transport at least one Lego mini-figure. Didn't say nuthin' about having THREE mini-figures. Sweet, forgiving asphalt. Not the usual stone-chip NZ road surface. First look at some of the competition. Heat two for the open class, Jamie gets a last minute tip on direction from a race official. 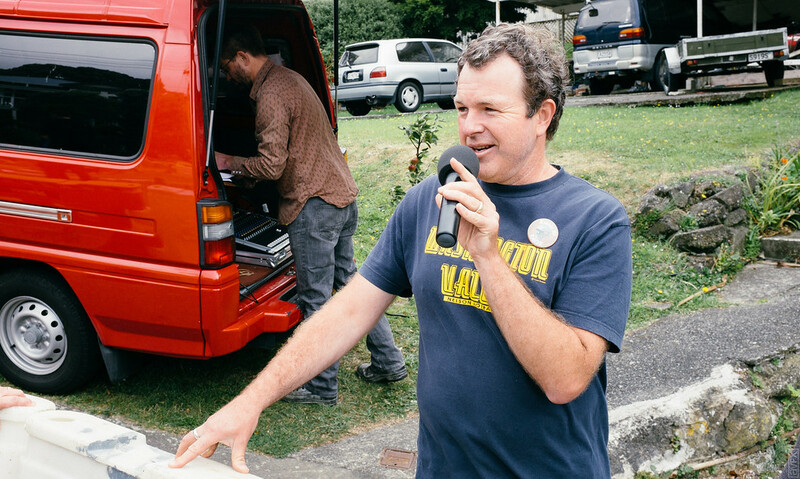 City Arts Manager Martin Rodgers from the Wellington City Council doing a great job on the mic. 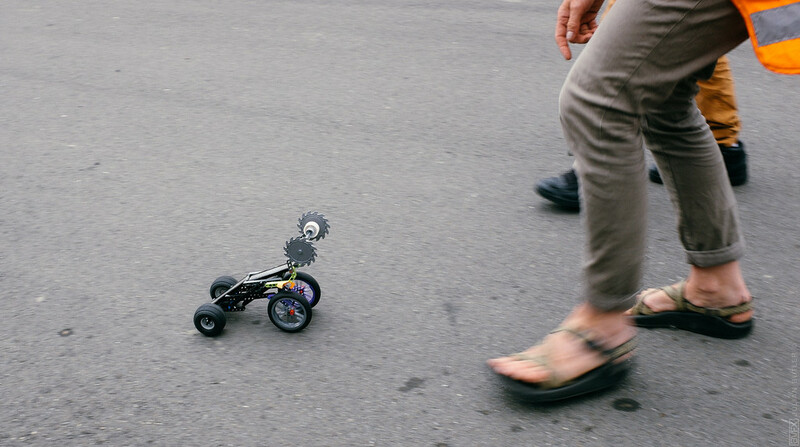 Unorthodox Death Machine on the loose! We won video rental, dessert pizza from Hell.co.nz and a nice ceramic mug. 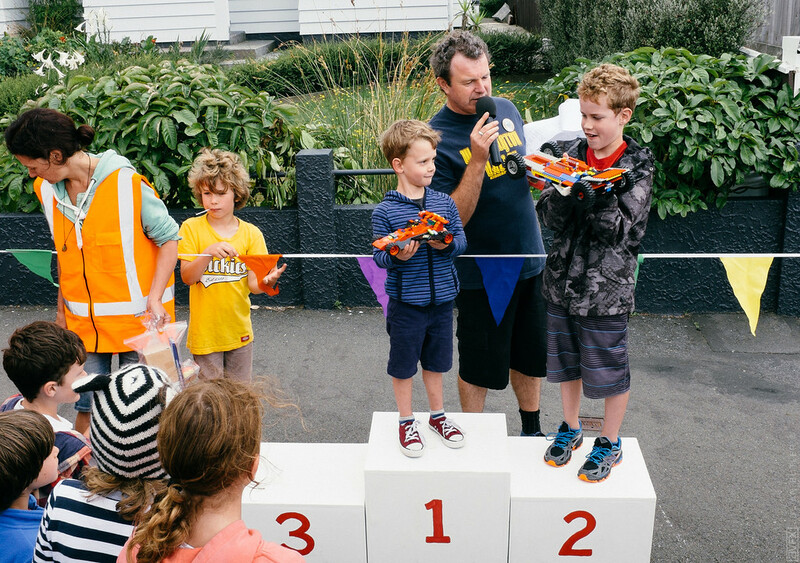 Congratulations to all the well-deserved wins in the other divisions, [you can see more of the winners in the gallery] and well done Island Bay for hosting Wellington's very first Lego Downhill Derby. Next year I think I'll take a more back-seat stance and have our kids build and enter their own vehicles now we know the lay of the land. We've got a heads up on next years design already.